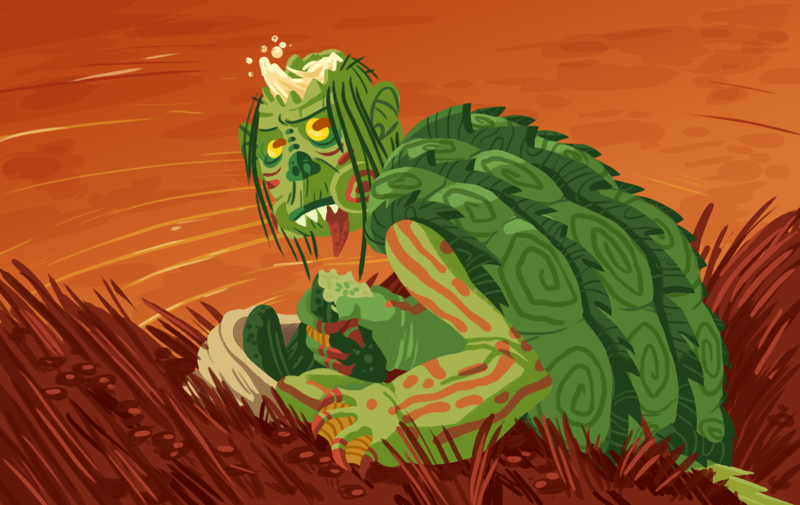 The kappa is a small amphibious creature, half turtle, half man. Though sometimes malevolent, kappas are extremely curteous beings and won't harm anyone who shows them politeness and respect. The top of their head is hollow and filled with water. When the water is tipped out of their heads, they become extremely weak and immediately dash for the nearest source of water. This monster is brought to you by the Oriental Adventures setting and Japanese mythology. I always liked this monster, even when I first read about it in a mythology book when I was itty bitty. According to these books, the kappas' favourite food was cucumbers and a sure way to get on their good side was to give them cucumbers with your name carved into it.